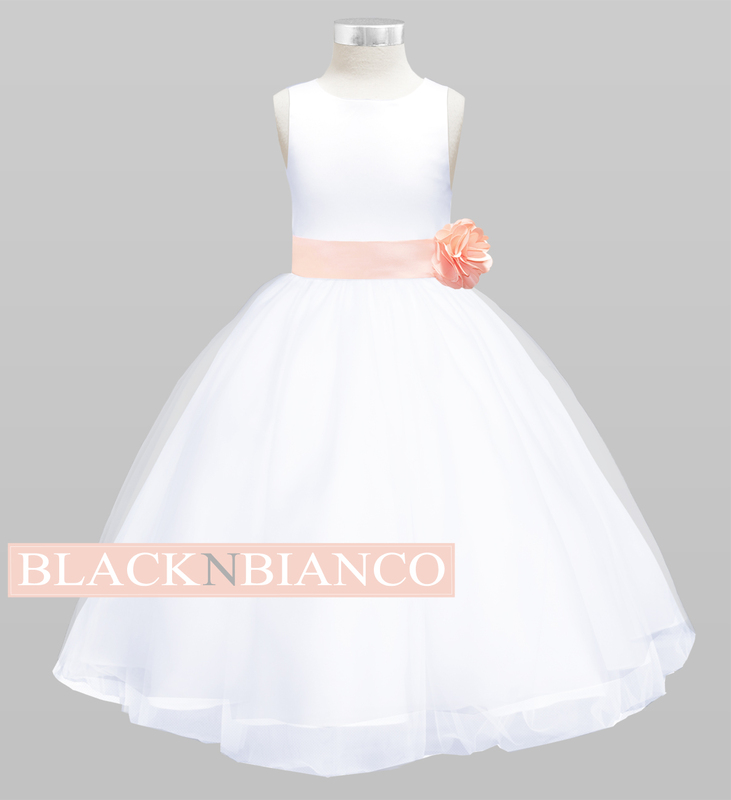 Our Flower Girl Dresses are here just in time for Spring! 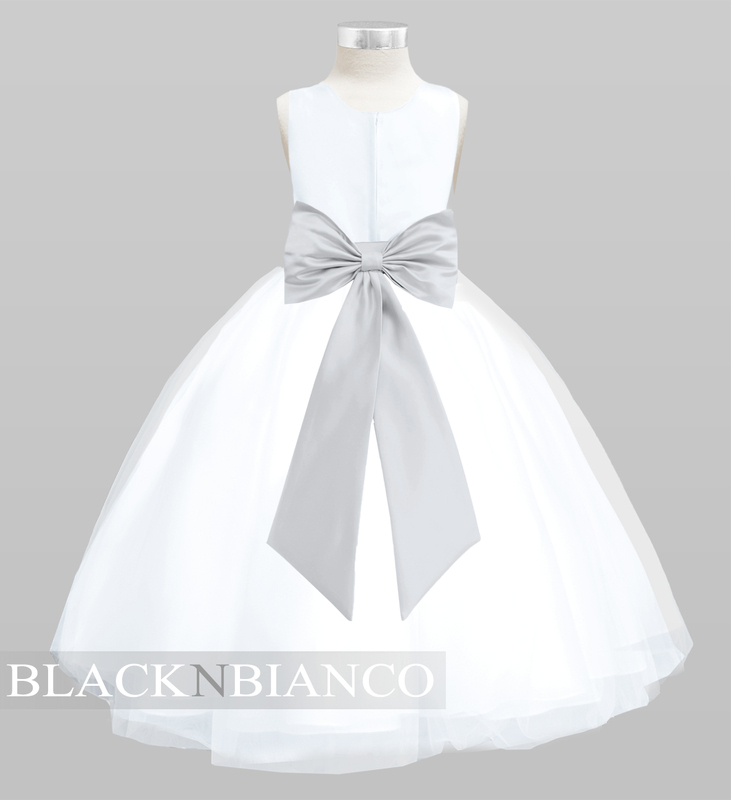 The beautiful tulle sleeveless flower girl dress is made with white satin poly with crinoline netting to give it that extra fullness. 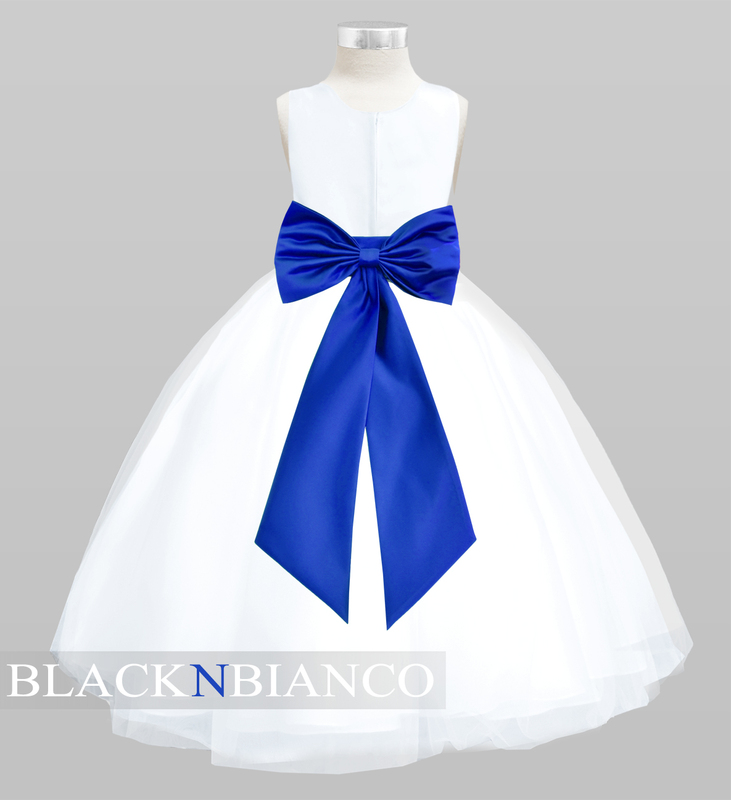 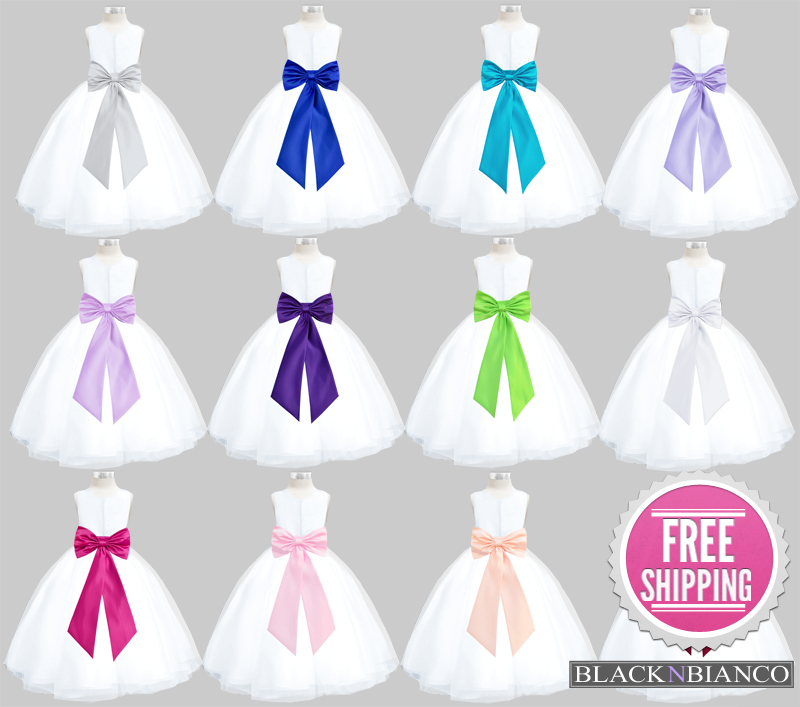 There are lots of colors to choose from and the bow, flower and sash are all detachable. 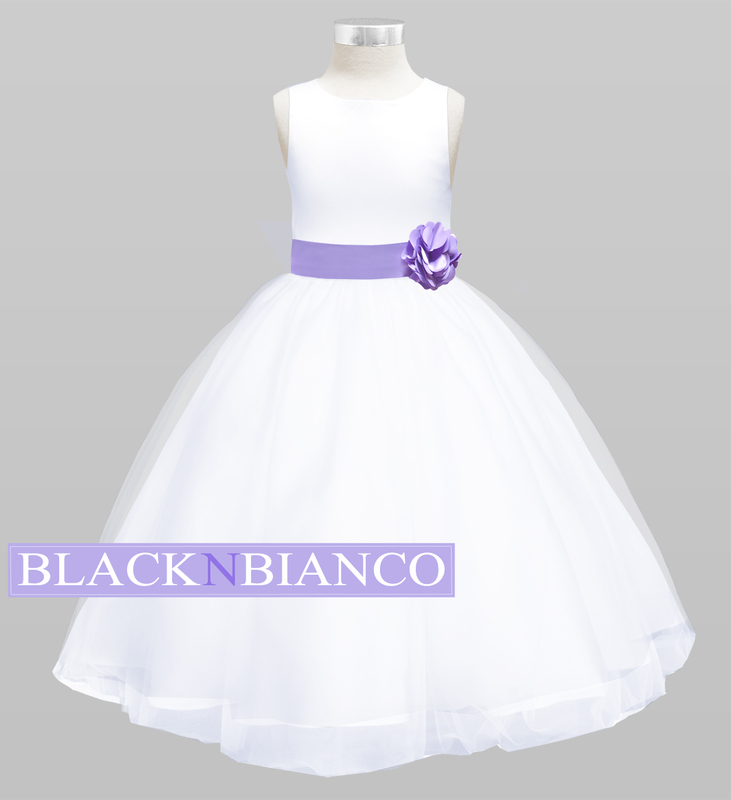 With these wide arrange of colors you can mix and match for your little princess to wear for any wedding or event. 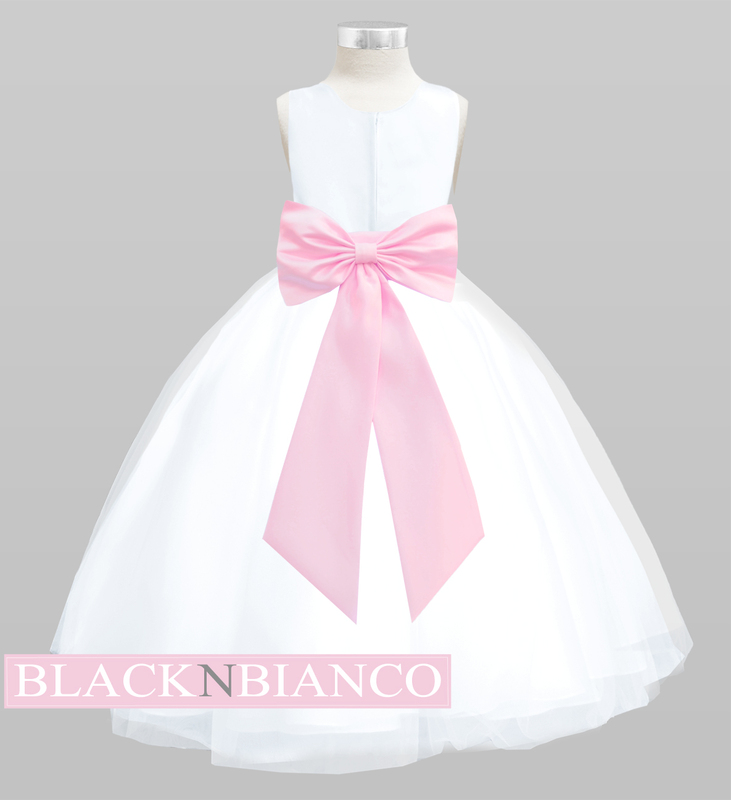 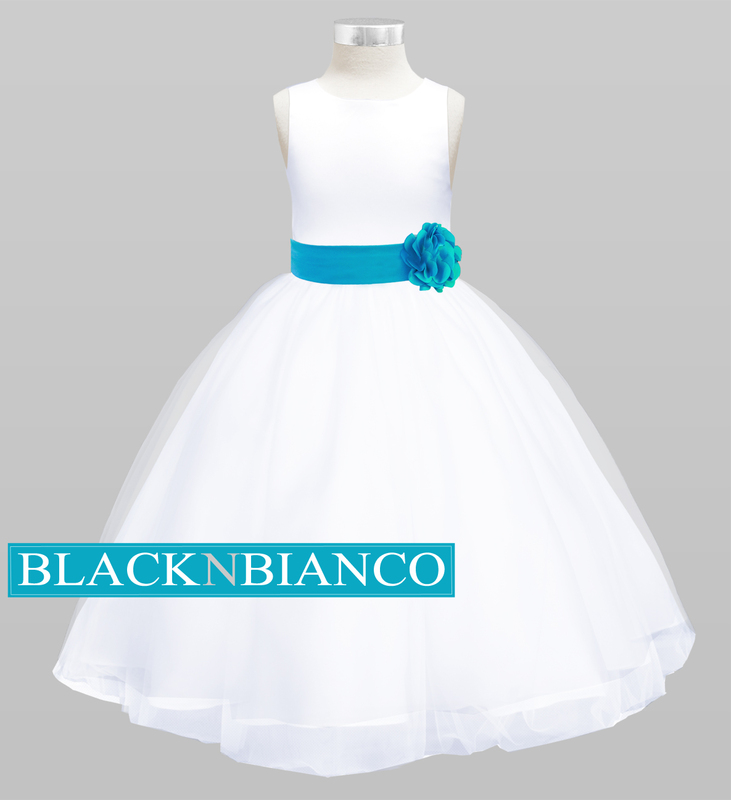 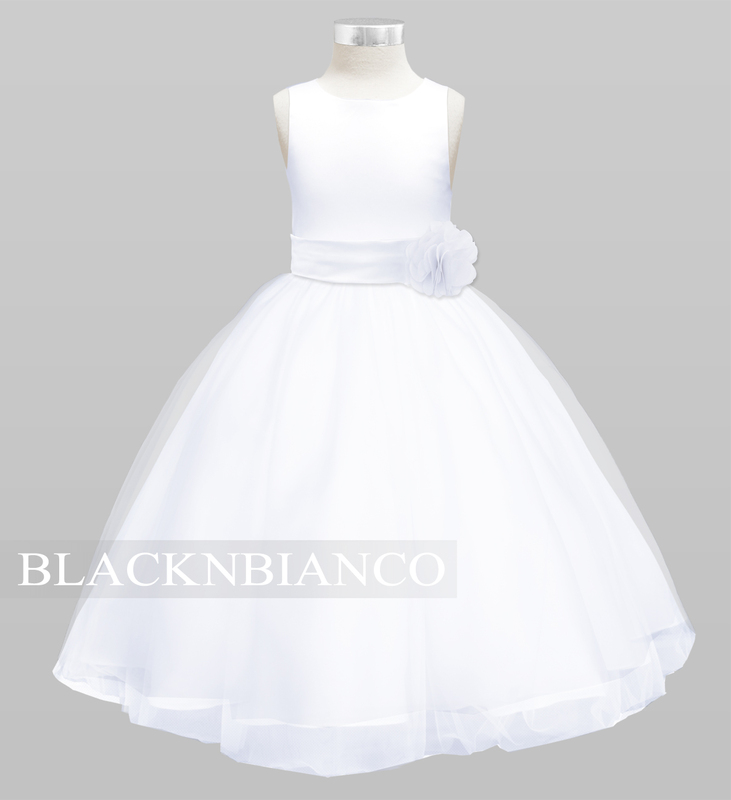 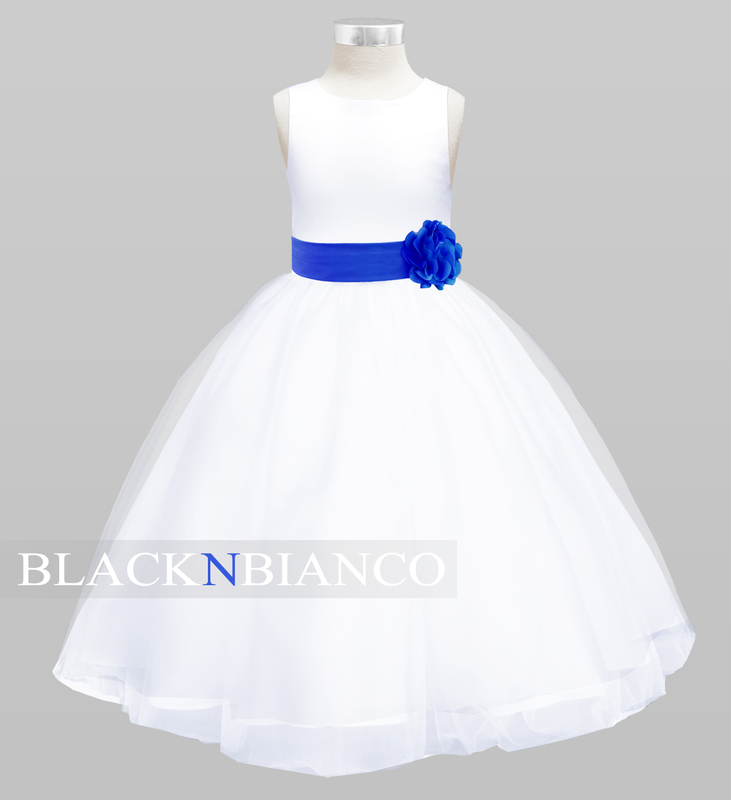 White Flower Girl Dress with a removable sash, flower and bow.